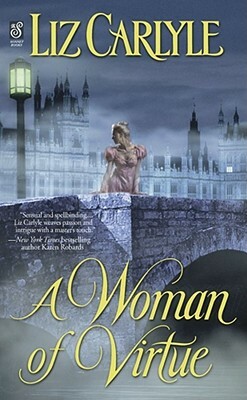 From the grandeur of regency Mayfair to the dark danger of London's East End, be swept away with a powerful story of love born against all odds, as a n honorable young widow stands fast against the cynical rogue who seems determined to consume her, heart and soul. In the lonely months since her husband's death, Cecilia Lorimer has hidden her emptiness by devoting herself to a charity mission for the unfortunate women of London's slums. But when the dashing Lord Delacourt takes control, she feels an uncharacteristic urge to flee. Just six years earlier, Delacourt had proven himself to be the immoral rake society called him, nearly ruining her reputation in the bargain. It's whispered that the womanizing Delacourt is vain, vindictive, and merciless. But he's a man who honors his wagers -- and one result lands him in his brother-in-law's godforsaken mission, face-to-face with the woman who has long haunted his dreams. When treachery closes in, only he knows how to guard Cecilia from the consequences of her own principles. Can a profligate knave persuade a virtuous woman that he is worthy of her trust -- and her love?